Sharda Dream City – Inauguration of Demo Houses of SDC By Hon’ble The Ambassador Extraordinary and Plenipotentiary of the Republic of Poland to India, Bangladesh, Bhutan, Nepal, Sri Lanka, Maldives and Afghanistan, H.E. Tomasz Lukaszuk. Sharda Dream City – " Truly a 'dream city'. I want to replicate it in Chandigarh. 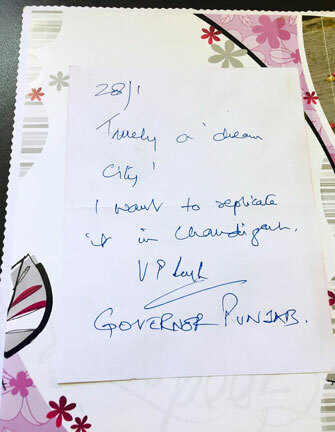 Shri V. P. Singh (Honorable Governor of Punjab) "